5 SKULLCANDY HEADPHONES UP FOR GRABS!! 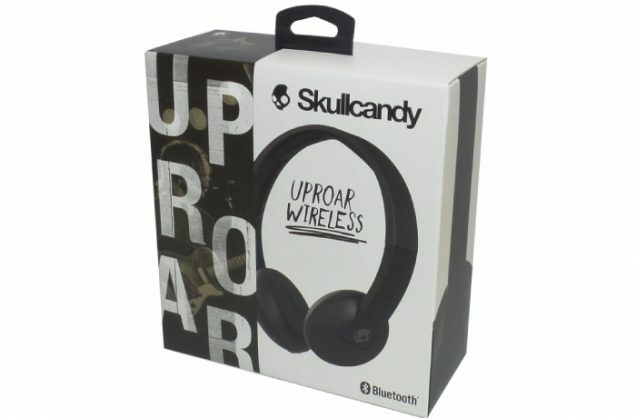 STAND A CHANCE TO WIN 1 OF 5 SKULLCANDY UPROAR WIRELESS HEADPHONES. Enjoy all-day listening to Supreme Sound™ while you ditch the cord. The Uproar Wireless on-ear headphones use Bluetooth® functionality for on-board music control and have a built-in mic, long lasting battery and comfortable ear pads. LifeEnjoy the comfort and sound of your headphones for a full 10 hours, without having to worry about recharging. Carefree listening is yours wherever you choose to take your soundtrack. Take calls and navigate your playlists with the built-in microphone and easy-to-access buttons on the ear cup. Use the + and – buttons to adjust volume, change songs and hit the circle button to take answer/end calls or play/pause the music. This competition closes on Friday. 11 May 2018 at midnight. This competition will run in print and online. All entries will go into a random draw. T&Cs apply. By entering the competition, you agree to sign up to The Citizen’s free online newsletter and accept The Citizen’s standard terms and conditions, and the competition rules as published on www.citizen.co.za.